Mobile computing provides access to information and processing where and when the user requires. Improvements in wireless networks, hardware technology, and protocols for the provision of distributed services have rapidly increased the capability and popularity of personal ICT (smart phones and tablets, wearable computing devices, etc.). Furthermore, the advancement of sensing capabilities in modern smartphone devices has fuelled the fusion of context-aware features in many popular apps. The enabling technologies provide both technical and user-interface challenges for the software developer. This module explores the underlying technology and extends development skills to produce, release, and maintain software for mobile and distributed environments. Advanced Topics in Mobile Applications. Critically evaluate solutions to technical problems relating to mobile computing systems. Proceedings of relevant conferences such as MobileHCI (www.mobilehci.org), MobiSys (www.sigmobile.org/mobisys) and MobilWare (mobilware.org). 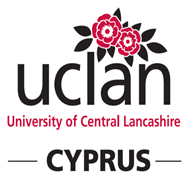 Many more e-books on Android development are available through UCLan Cyprus’ library.